The Scottish Oral History Centre at Strathclyde University is researching Wartime reserved occupations. They would like to speak to men who were in the many varied occupations and who were exempted from Military service about their experiences and memories. Interviews would take place at a time and place of the interviewee’s convenience and would take around 1 – 2 hours. The present building dates from about 1820 but it is recorded that there has been a place of worship on the site since at least 1296 when one "Radulphus de Hauden parsona de Whytesum" swore allegiance to Edward 1 of England. It is also recorded that in about the year 1700 when Thomas Boston preached in the Church the crush was so great that people climbed on to the roof and made holes in the thatch to see and hear this renowned preacher. Changed days regrettable - like so many other Churches attendances have been falling over the years, not helped by general rural depopulation and the recent closure of the local primary school. 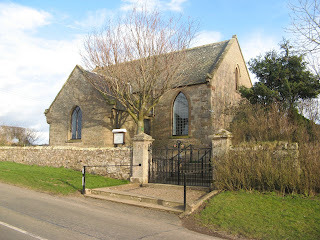 Whitsome Church is now linked with Fogo and Swinton, Ladykirk and Leitholm. Members with connections to the Parish will probably be interested in the Whitsome website which contains among numerous other records a transcription and photographs of all the stones in the Old Churchyard and a list of head of households in 1834. If you're over 60, the sight, smell, sounds of a steam engine will bring back nostalgic memories. I find they are always a joy to me - a rare joy, admittedly and one that I never experienced in the Borders. 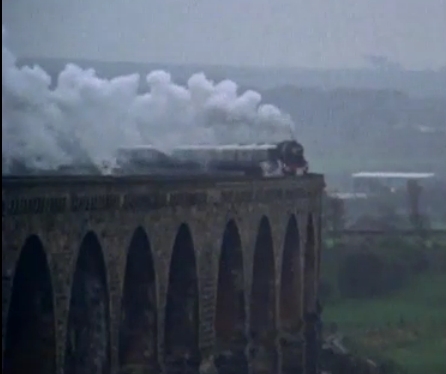 The BBC has a video of the Flying Scotsman on the 40th anniversary of its first public journey. The anniversary took place in 1968 - a non-stop run from King's Cross in London to Edinburgh Waverley where it was welcomed with a pipe band. See Tweedmouth signal box, the train crossing the railway viaduct and Berwick-upon-Tweed in its 1968 colours. There are several well-known faces on board including Rev Wilbert Awdrey, the author of Thomas the Tank Engine and he describes how he came to write the series. There are even more steam railway videos in the BBC's collection. I regret to report that our Chairman, David Rudram, died on 9th January after a short illness. We will all feel his loss, both personally as a friend but also as a leader who did a lot for the Society. He joined the Society in 2005, joined our managing Council in 2007 and became Chairman in 2009. He was involved in almost all aspects of the Society's work, in fundraising, organising events, looking at premises, recording gravestone inscriptions (especially most of the work on West Linton churchyard), drawing maps, creating pages for the website, writing articles for our website blog and Kith and Kin, transcribing poor law records, as well as chairing the Society. He spent a lot of time recently on creating a new constitution for the Society to allow us to take on new commitments. Somehow, he also found time to help Robert Smail's Printing Works, Melrose Rugby Club, Tweeddale Community Transport, as well as researching his own and other people's family history. There's a Service of Thanksgiving today at 2.30pm at Innerleithen Parish Church but due to the very snowy weather, I suspect there will be people unlikely to make it.